The Eccentrico Limited Edition collection was inspired by the Giorgio Armani Eccentrico touring exhibition – Milan 2012, Hong Kong 2013 and Rome June 2013. Mr. Armani showcased some of his most memorable and lavish couture designs throughout his career – a fusion of art, fashion and design, restrained by a bizarre play of colors and a display of wild fantasy. The Giorgio Armani woman is multi-faceted and has an eccentric side that he wants to express. 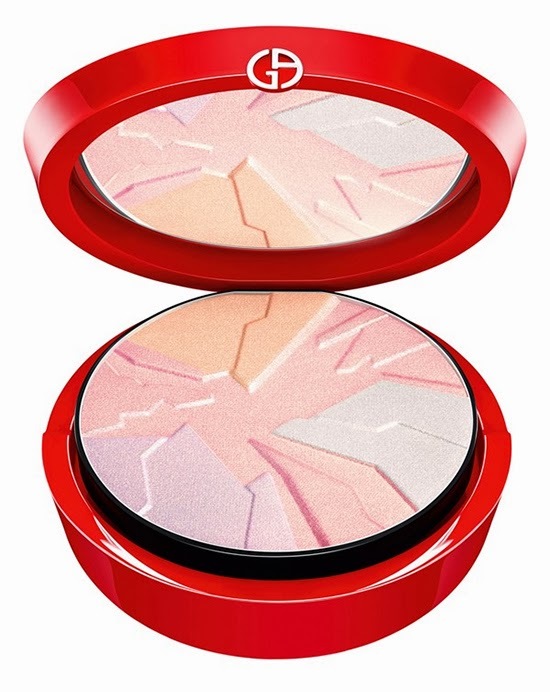 Giorgio Armani presents a 4-in-1 multicolor illuminator palette of blushing colors for the holiday season. The palette opens to reveal an illuminating, asymmetrical pattern of light purple, pink, white and orange. 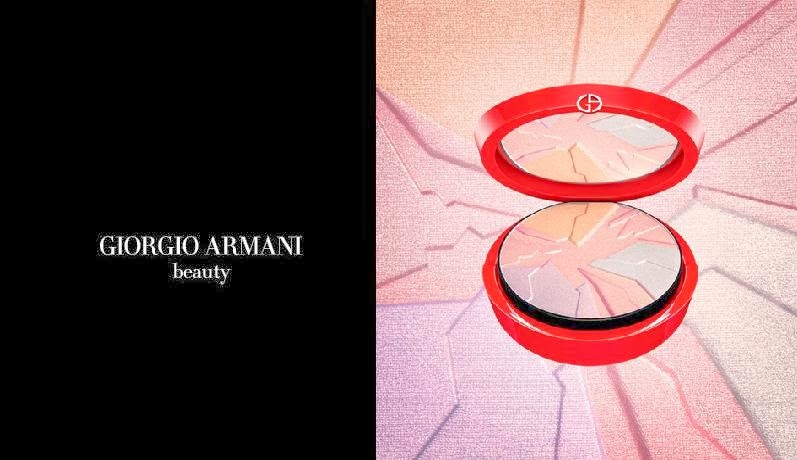 The compacted blush powder is dressed in signature Armani pocketbook palette in sleek, lacquered Eccentrico red with a powder blender blush. This all-over highlighter makes a statement to light up the holidays with surrealism and festive colors. The unexpected play of oranges, pinks and iridescent white is a display of wild fantasy. 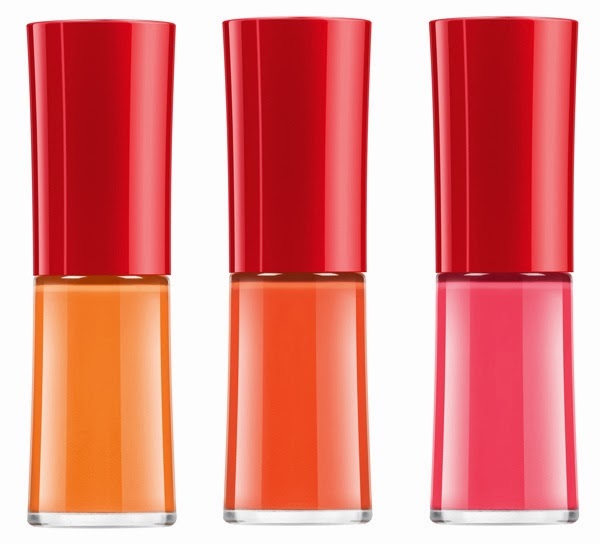 Three bright, merry shades to contrast from traditional rouge in orangey pinks are sure to please any daring woman. 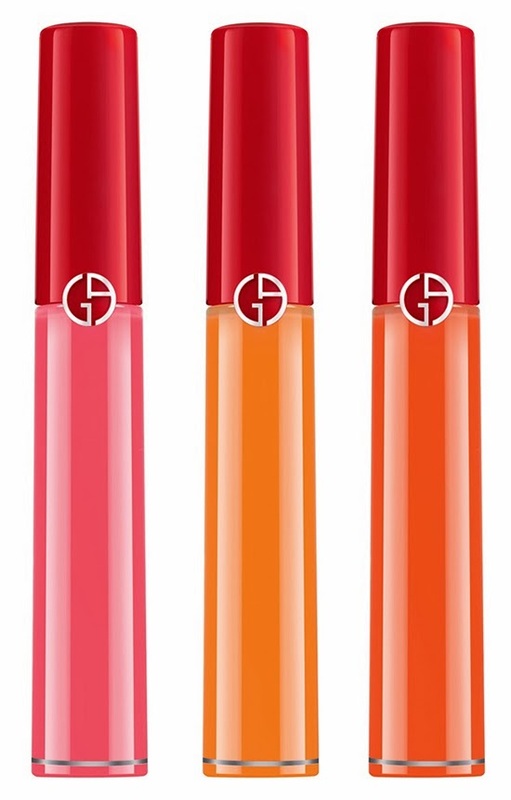 Lip Maestro is the first luminous matte lacquer to grace lips with sensual color and irresistibility. Create the Eccentrico look with this intense velvet color. 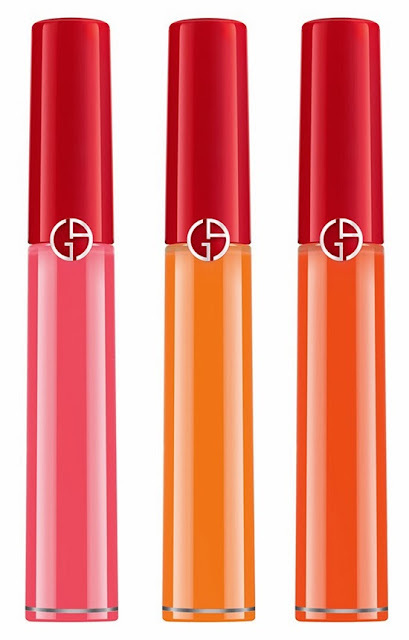 Giorgio Armani nail lacquers come in the season’s three hottest fashion colors to match lipcolor with a signature-red holiday cap. Transform hands into glamour and chic with these vibrant shades. Now at Giorgio Armani Beauty. These all look great! I love the color dazzling! love ur blog, would u like to follow each other? great colors! I follow you, follow back? Lovely Collection they have .. I am hosting a giveaway on my blog do participate.. I love the palette, and I love also the nail polish!! I'm following you on GFC and facebook! Awesome Blog.....I would definitely like for us to follow each other. Thanks for your comment on my blog, I'm now following you via GFC. Such a fab blog! I'm following you on everything haha!! Wanna follow each other on GFC, Bloglovin, or Twitter? great collection, love the packages. Love this colours!! So gorgeous! Amazing collection! Amazing collors! I love it! Thank you so much for your sweet comment, dear! You have amazing blog! I would love to follow each other! Love the face compact and the lip and nail colors look awesome!!! Thanks for your sweet comment on my blog dear. Ofcourse, we can follow each other. Do follow me on G+, GFC, Bloglovin and also FB, Twitter, Pinterest etc (links below). Beautiful! Great blog you have!. Looks amazing! Would love to follow eachother via GCF!